The 'end of Dhoni era' notion has been dismissed unequivocally but then India, for the first time, will still be without the figure with a monumental body of work when they face West Indies in the opening T20 International Sunday. Less than a week after two-time World Cup-winning skipper Mahendra Singh Dhoni was left out of India's T20I squad, captain Virat Kohli has said he remains an integral part of India's plans. 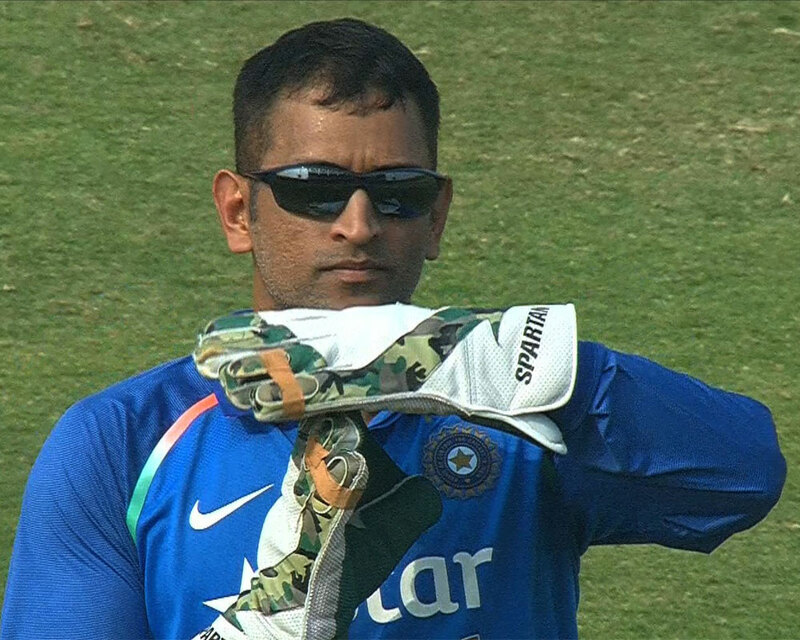 Chief selector MSK Prasad also said that it was not the end of the road for Dhoni in T20Is. With Kohli rested for the three matches, Rohit Sharma will lead the side against the reigning T20 champions. Under Jason Holder, West Indies were mauled 0-2 in the Test series in six days' of action. In the following five-match ODI series, they posed some challenge before being thrashed 1-3 with a nine-wicket loss in Thiruvananthapuram in the final one-dayer. But it will not be an easy task for India against the Carlos Brathwaite-led team as the two-month long series begin its final leg, giving the visitors a chance to regain some pride. Brathwaite will be back at the same venue where he hit four consecutive sixes off Ben Stokes to break the hearts of English fans by winning their second World Twenty20 title in 2016. The Windies, who missed the big names in the Test and ODI series, will be bolstered by the arrival of star players Darren Bravo, Kieron Pollard and Andre Russell, who will be back at his IPL home venue. The stats also favour the World T20 holders who have a five-two record from eight exchanges from 2009-17. India failed to overcome Brathwaite's men in their last four encounters and the Windies ended the home team's campaign in the 2016 T20I World Cup, defeating them in the semi-finals in Mumbai. India's last win against West Indies came way back on March 23, 2014 in the World T20 in Bangladesh, and Sharma will have his task cut out in his quest to start well at his happy hunting ground. The 31-year-old has a world record score of 264 in ODIs at the Eden Gardens in 2014, besides winning two IPL titles, in 2013 and 2015. He would look to carry his fine form from the ODI series, in which he finished behind Kohli, with 389 runs, at a staggering average of 129.66. The Windies, on the other hand, will look forward to their youngster Shimron Hetmeyer, who scored 259 runs in the ODI series, including a century in Guwahati. Kohli's absence would mean KL Rahul will come into the picture while Dinesh Karthik and Rishabh Pant are expected to add firepower in the middle order alongside Krunal Pandya. The Indian seam attack will be led by Bhuvneshwar Kumar and Jasprit Bumrah, which now includes additional variation in the form of left-arm quick Khaleel Ahmed. The Eden centre strip promises to be full of runs, and batsmen from both sides will look to make merry. India: Rohit Sharma (Capt), Shikhar Dhawan, KL Rahul, Dinesh Karthik, Manish Pandey, Shreyas Iyer, Rishabh Pant (wk), Krunal Pandya, Washington Sundar, Yuzvendra Chahal, Kuldeep Yadav, Bhuvneshwar Kumar, Jasprit Bumrah, K Khaleel Ahmed, Umesh Yadav, Shahbaz Nadeem. Match starts 7 pm. IST.